Home / Exclusive Content / Listen to DJ EFN’s mixtape catalog 1993-2007 | Stream Now! Listen to DJ EFN’s mixtape catalog 1993-2007 | Stream Now! You can now stream DJ EFN’s mixtape catalog which ranges from cassette recordings starting in 1993 to CD and straight to digital mixes well into the 2000’s. 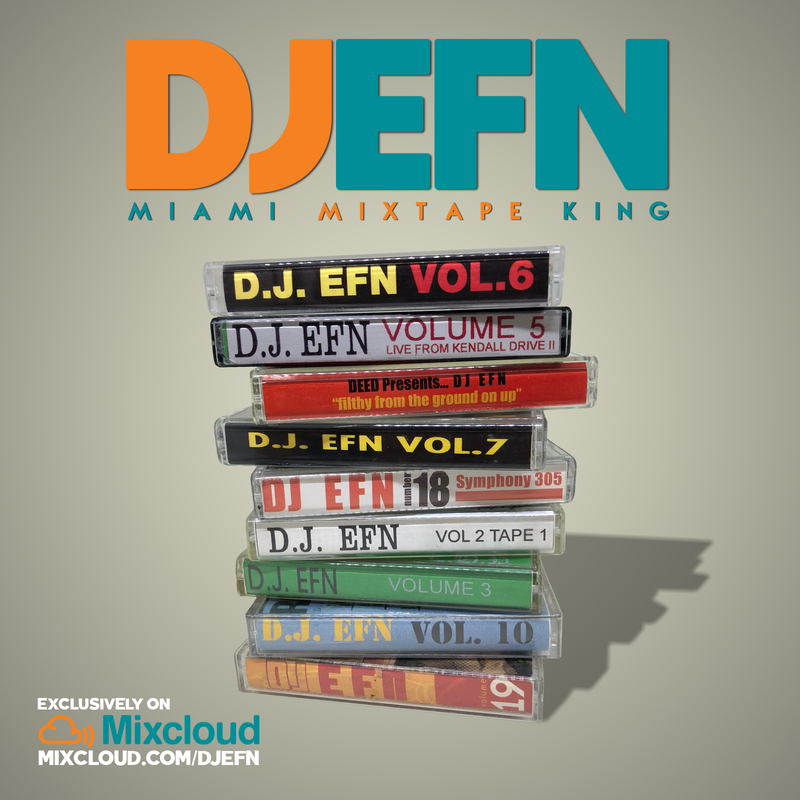 Given the title Miami’s Mixtape King with awards and other accolades to go with it, DJ EFN made his mark as one of the most consistent mixtape dj’s from the South. With worldwide distribution EFN’s mixtapes helped artist development and awareness. For more info on Crazy Hood’s founder and CEO go to DJ EFN – Wikipedia.